For a nothing less than incredibly stylish getup, consider wearing a Saint Laurent slim fit classic shirt and a dark green suit. Add a sportier vibe to your look with black leather loafers. For a nothing less than incredibly stylish ensemble, opt for a Saint Laurent slim fit classic shirt and a charcoal suit. Contrary to what you might believe, being a dapper dude doesn't require that much effort. 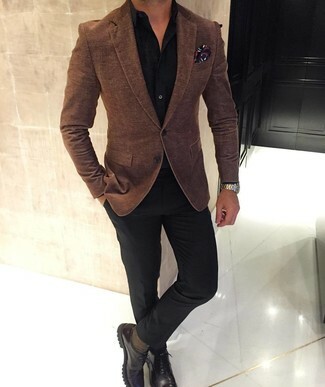 Just make a black dress shirt and black jeans your outfit choice and you'll look incredibly stylish. 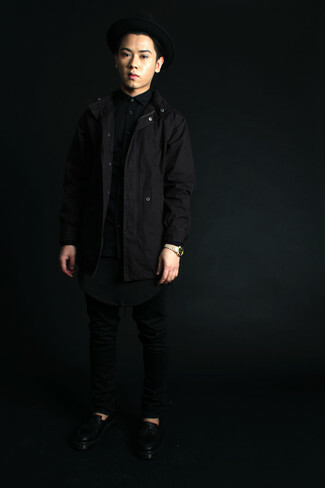 For something more on the daring side to complete this ensemble, go for a pair of white low top sneakers. 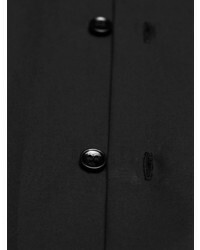 Pair a Saint Laurent slim fit classic shirt with black dress pants for a classic and refined silhouette. 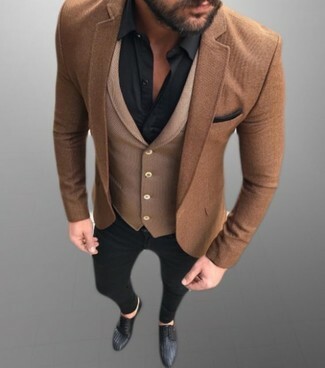 Grab a pair of dark brown leather derby shoes to make the ensemble current. If you're in search of a casual yet sharp outfit, try teaming a Saint Laurent slim fit classic shirt with black skinny jeans. Both garments are totally comfortable and will look great together. 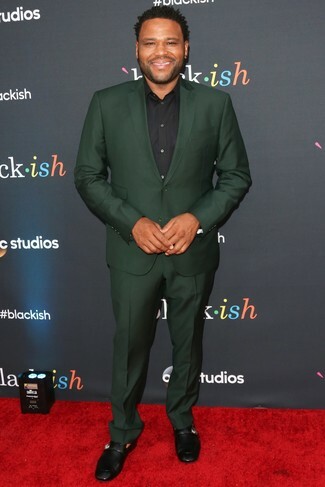 Let's make a bit more effort now and throw in a pair of black leather derby shoes. If you're looking for a casual yet on-trend getup, make a Saint Laurent Slim Fit Classic Shirt and black skinny jeans your outfit choice. As well as totally comfortable, these two pieces look fabulous when paired together. Got bored with this ensemble? Enter black leather chelsea boots to shake things up. 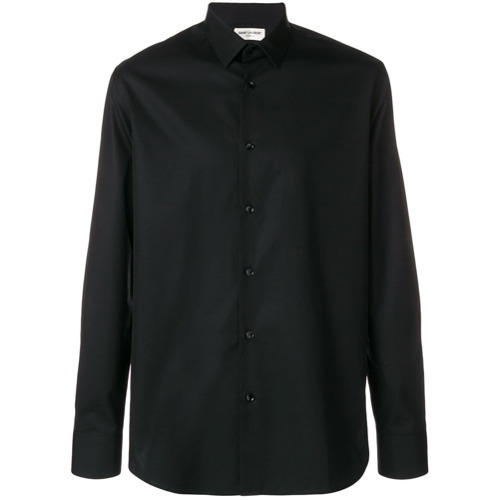 If you're in search of a casual yet sharp getup, dress in a Saint Laurent slim fit classic shirt from farfetch.com and black skinny jeans. Both items are totally comfortable and will look great together. 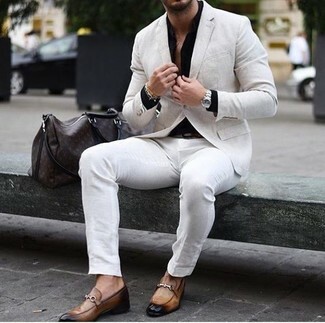 Spruce up this look with black leather tassel loafers. 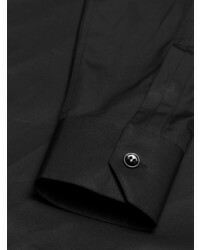 Pair a Saint Laurent slim fit classic shirt from farfetch.com with black dress pants for a classic and refined silhouette. To bring out the fun side of you, complement your look with black suede loafers. So as you can see, outfiting on-trend doesn't require that much effort. Just team a Saint Laurent slim fit classic shirt with white chinos and you'll look smart. 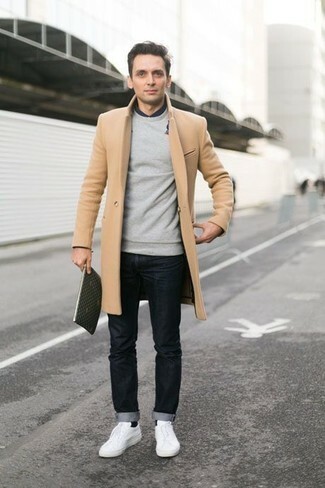 When it comes to shoes, this getup is complemented nicely with tan leather loafers.